To view our current inventory of extra fine pre-owned contemporary sextants, click here! This Extra Fine Example Has Been Sold. Thank you! CONDITION: The sextant is in exceptional condition for its age. It shows very little evidence of use with that being some loss of varnish on the rising piece knob, and the same in the central leg on its flange. About 98% of the original varnish remains. The paint is near perfect and the screws bright. Both fitted mirrors are in excellent condition with only one tiny Grey dot on the index mirror adjacent to the frame's holder. The certificate is dated February 22, 1945 and shows a range of errors between 5 and 22 degrees which is pretty much what you might find in a contemporary Plath or Tamaya. The case is made of marine grade plywood with unusual hidden tongue and groove construction. It is in like new condition except for the normal scuff marks to the wood and the minor imperfections noted which show the instrument saw service at sea. Almost all its accessories which include two screw drivers and a large mirror adjustment wrench are present, but it is missing a spare index mirror and key. Case 11 1/2" X 11" X 5 1/2" Weight in case 7 Lbs 4 oz. This is fine sextant in excellent condition and is backed by our No Nonsense Guarantee of satisfaction. 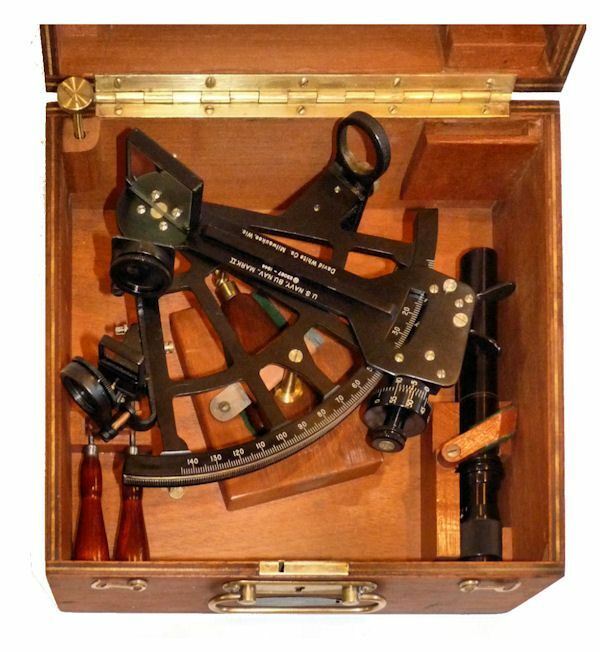 DOES OUR OPINION COUNT: We are one of the few company's still selling navigation instruments that know anything about them or have actually relied on them at sea. For purposes of judging whether my opinion counts, Joel was the editor of the chapter on sextants of the 1977 Edition of "Bowditch", The American Practical Navigator, NAVPUB 9; a member of the U.S. Naval Academy Navigation Symposium Board, 1975 -1978; the author of a book on marine sextants, Cornell Maritime Press,1975, and the founding president of Nautech Maritime Corporation which partnered with Tamaya of Japan in the introduction of the MS 733 Spica, the MS 833, Jupiter, MS 933 Venus sextants and the famous NC-2 navigation computer, in the U.S. market. 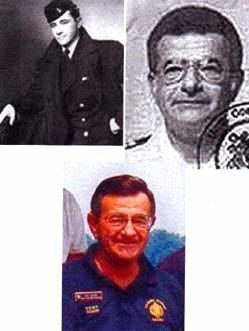 He is also a retired Master Upon Oceans, and held a U.S. Navy "D" Qualification as a Senior Skipper - Oceans. From 1995 until 2001, Joel served as a Varsity Offshore Coach at the U.S. Naval Academy. FLT RATE SHIPPING to 48 contiguous States $20.00. OUR UNCONDITIONAL NO NONSENSE GUARANTEE: If not completely satisfied with your purchase, it may be returned, if without damage, within five days of receipt in its original packaging. Return items must be insured for their full value. A prior email authorization by us for the return is required. Shipping charges are included in this offer within the continental United States and are refundable if due to our error.